My passion is helping expectant woman feel good through prenatal yoga! There are few speciality prenatal classes that I have created that I am super proud of and am going to share over the next few weeks! 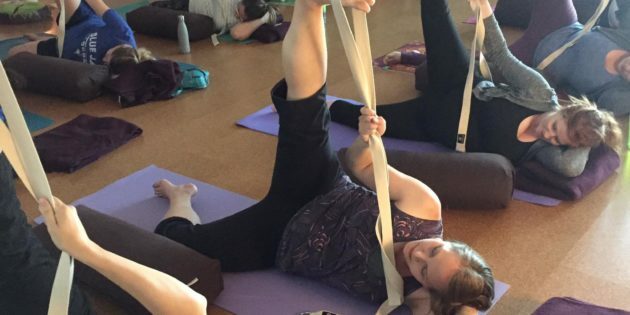 #1 the strap class- the purpose of the strap class is to really stretch out those pregnant legs!! Lots of calf and foot cramping and restless legs can occur from all the muscular and gait changes! While on the side we can also practice side-lying pushing, hip-opening and really access the pelvic floor!